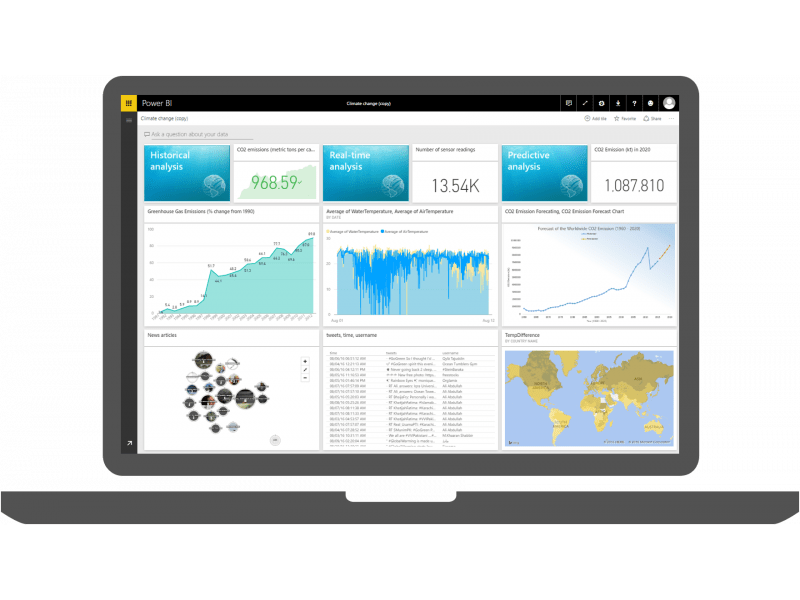 Power BI is a suite of analytics tools that provides business users with their most important metrics in one place, updated in real-time, and available on all their devices. With connections to over 50 popular business applications already built-in, Power BI can easily unify all of your organization’s data, whether in the cloud or on-premises. Our experts will create a live Power BI dashboard using your data. Quickly get up and running on a department or team solution. This 5-day engagement includes requirements gathering, UI/UX, user review, and solution delivery. Intellinet experts will work with your team to interview stakeholders, assess your environment, and create a proof-of-concept for a select department or team based on your sample data. Intellinet's Business Intelligence (BI) Envision engagement evaluates your complete requirements, assesses your organization's readiness, and delivers an actionable roadmap to achieve your goals.